Aix-Marseille Innovation Trophies awarded researchers & start-up. 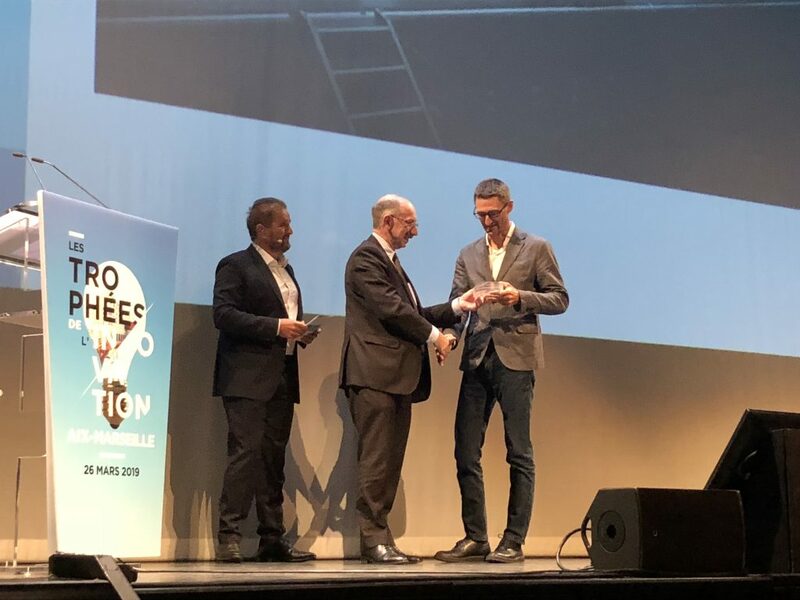 The awards ceremony took place at the Silo in Marseille on Tuesday 26 March, 2019. 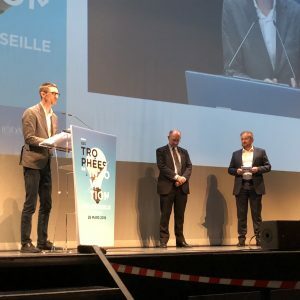 This first edition of “Trophées Innovation Aix-Marseille” highlighted the region’s innovations and the strong relationships between public research and industrial partners. Eight awards were presented in the form of “jury prizes” or “honours awards”. Stefan Enoch received the Prize of the Best Researcher for his research on the M-Cube project. – Protisvalor => Protisvalor is the subsidiary of Aix-Marseille University to valorise research. It supports Aix-Marseille Researchers in the appraisal, structuring and management of research contracts. – SATT SUD EST => SATT Sud-Est boost the competitivness of companies through innovationstemming from public research of South-East France. Its core business involves bringing inventions developed by its shareholder research bodies to readiness on legal (intellectual property), economic (market) and technical (proof of concept) levels. SATT aims at transferring innovative technologies stemming from its shareholders to the economic fabric while granting operating licenses to companies. – Aix-Marseille French Tech => French Tech is a collective trademark launched in 2014 by the French government. Its ambition is to kindle tech champions, promote French know-how abroad and attract foreign investors. To augment its activities, the government has launched a call for projects that will create labels for the territories in order to help startups to go from just an idea to a tech champion.